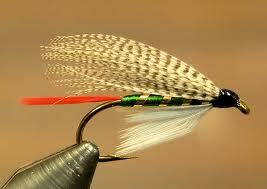 A fly fisherman usually only attempts fly tying sometime after the first year or two of taking up the hobby. It could take another couple of years after that to finally master the skill, although there is no end to learning through experimentation. 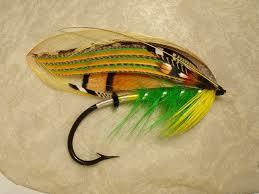 This however, is a fairly pricey option as many end up anywhere but in the water when first casting off! There are plenty of books, magazines, websites and online forums that help you follow certain steps to tie particular flies such as the “Woolly Bugger”. Learning from step by step guides can help you solve some of the most basic but disconcerting problems fly-tying beginners often encounter. First, they look at the dam or river and note what larvae and insects are in and around the water, and tie flies that look the same as those, to mimic the trout’s natural food sources from that particular area. Then when they finally catch a fish, they gut it, take out the stomach contents to see what they are eating, and tie flies that closely resemble what has been swallowed by the fish. Tying the fly is only the first part to catching the big one. The second is then casting and retrieving the line to mimic the real insect’s movements on the water to lure the fish. All fly fishermen and women eager to take a break from the hustle and bustle of city life in Johannesburg, should book now to stay at Walkersons Hotel & Spa in Dullstroom. Here you will find relaxation and serenity fly fishing on our beautiful trout dam.